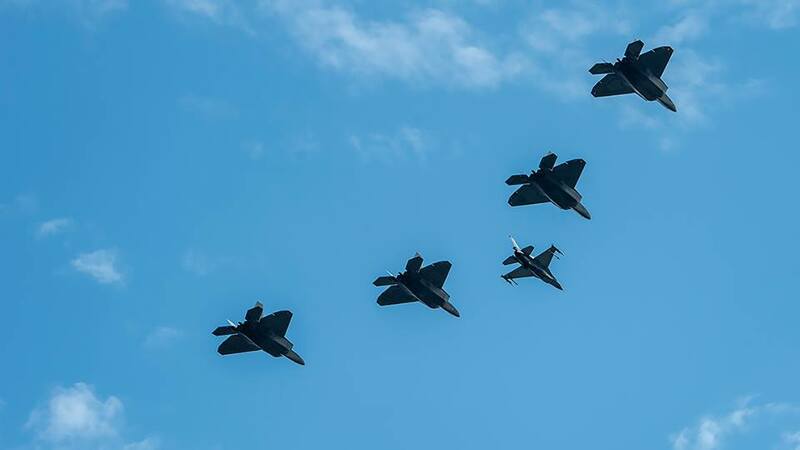 On Aug. 10 they were in Greece at Larissa AB to train with Hellenic Air Force, On Aug. 16 the F-22 were in Spain to train with Spanish Air Force Eurofighter and F-18 Hornet and on Aug. 15 they were in Poland at Powidz AB to celebrated the 100th Anniversary of Polish Independence and Armed Forces Day by participating in a flyover in Warsaw and then 2 F-22 went to Orland Air Base, Norway, to conduct local training. 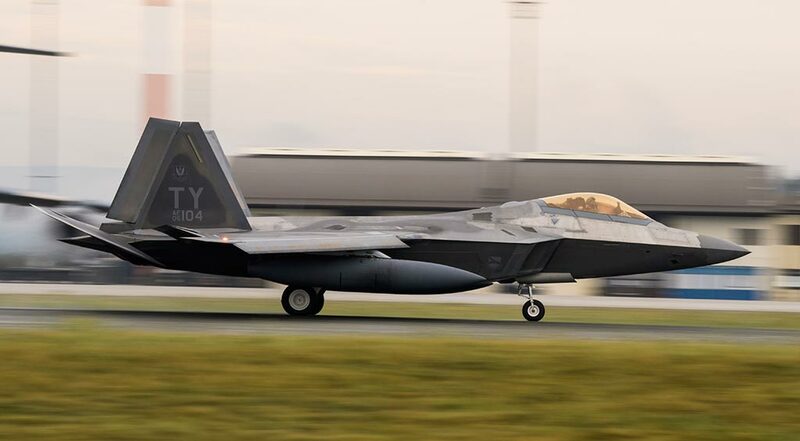 The F-22 and the F-35 are the world’s premier operational 5th-generation fighters, possessing a unique combination of stealth, speed, agility, and situational awareness along with lethal long-range, air-to-air and air-to-ground weaponry, making these aircraft the best air dominance fighters in the world. Their presence in the European theatre underscores our ability to deter current and potential threats, assure our allies, and respond in a timely way should deterrence fail. These plane picts are of the F-35……not the F-22….. 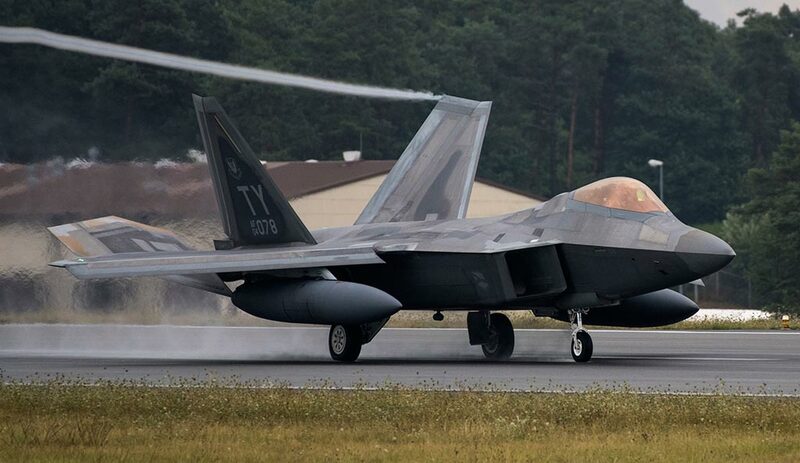 Sorry you are in mistake but these are F-22 Raptors as reported in this article.